Current Position: Investment Analyst at The Boeing Company in Charleston, SC. 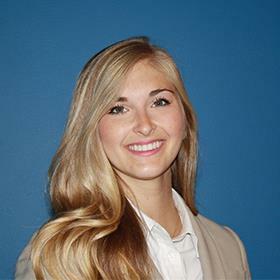 Before graduating from FAU’s College of Business in December 2014 with a Master’s degree in Financial Economics, Rachel Antanucci found an internship at The Boeing Company, where she was eventually hired. During her study at FAU Rachel was a founding member of FAU’s Business and Economic Polling Initiative. The research that Rachel and her classmates worked on was highlighted in the undergraduate research symposium at FAU in the Spring of 2015. When asked how did BEPI help your career? Rachel said “being a part of BEPI opened my mind to analyzing data and metrics. BEPI helped me to develop into the business professional I am today. 1: Why did you want to get involved with BEPI? I was looking to expand my knowledge and understanding of econometric studies. I also am very passionate about economic policy and government relations, and I felt BEPI would allow me to pursue those academic interests. 2. How did the work you did with BEPI help you develop personally and professionally? BEPI opened my mind to analyzing data and metrics. Through academics, you learn about econometrics studies, but being in BEPI allows you to bring the data to life and tell a story. It was also very beneficial to work on a team of such driven and inspired students. We worked together towards a common goal, which helped me develop as a business professional and as a student. 3: What was the most important thing you learned during your time at BEPI? The amount I learned during my time with the initiative is abundant. One of the most interesting parts about being involved in BEPI is getting to design questionnaires. Thinking through how to phrase questions to the public opinion was extremely intriguing and difficult. It challenges you to think outside the box and analyze how the mind will perceive different questions. 4: What’s your advice to any current students who are considering participating in BEPI? Absolutely get involved. It is an amazing group that will help you excel in your academics and develop professionally. I learned so much while being a part of BEPI and I urge any student to get participate. The possibilities are endless and the benefits will stay with you through your future endeavors. Current Position: Financial Advisor at Morgan Stanley. 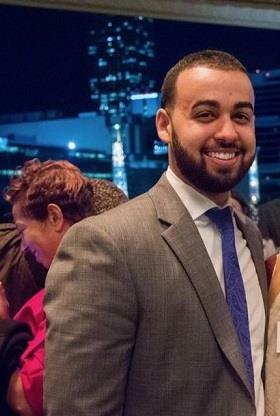 Before graduating from FAU’s College of Business in 2015 Nicholas Terlonge found an internship at Merrill Lynch, where he excelled and was eventually recruited by Morgan Stanley into his current position. During his studies at FAU Nick was a founding member of FAU’s Business and Economic Polling Initiative. The research that Nicholas and his classmates worked on was highlighted in the undergraduate research symposium at FAU in the Spring of 2015. Dr. Monica Escaleras was my professor, so I heard how passionate she was to involve students in her new polling program. I was eager to be a founding member of BEPI, and I knew that the skills we would be learning would enhance my career. The focus in BEPI was to understand the behavior and economic sentiment of Hispanic Americans, the largest growing minority in this country. It was an amazing experience to learn to design my own questions, collect my own data and learn how to analyze it, all while engaging in the community. BEPI taught me to challenge what I believed to be common sense and how to confirm or refute these ideas with actual data. I would totally recommend any student to participate in BEPI. Working with Professor Escaleras, Professor Levy and my fellow classmates was a rewarding experience and something that I was very proud to be involved with.